3 Reasons Why We Think Hungry Howie’s is the Best Pizza Franchise! There could be hundreds of pizza franchises in the country, but not one compares to Hungry Howie’s. We built our company as a family owned enterprise, and over 550 stores in 21 states later, we are still a family business. While there are a million reasons we believe Hungry Howie’s is the best pizza franchise in the country, today we want to share three great reasons our focus on flavor, innovative technology, and community make us the best of the best. When we say we own flavor, we are telling the truth. We created our original Flavored Crust® Pizza with mouth-watering seasonings baked directly into our pizza crust. At Hungry Howie’s, pizza dough is not just plain dough. With bold flavors such as Cajun, ranch, and butter parmesan, our Flavored Crust Pizzas cannot be surpassed. And, to top it off, we took our innovative flavor practices a step further with our unique Howie Wings®. Mouthwatering hot buttered garlic Howie Bread® topped with parmesan cheese is ready to satisfy the most gourmet cravings. Plus, because we always look for ways to stay ahead of our competitors, we are constantly working on recipes to include our signature Hungry Howie’s flavor in our fresh salads, calzone-style subs, and more. Nowadays, we even offer gluten-free options. Our innovative technology keeps us ahead of the competition. In addition to an awesome app for consumers, we offer a distinct, user-friendly mobile app for franchisees. All of our online platforms are integrated with our standardized POS system, meaning Hungry Howie’s technology allows franchisees to stay up to date with their businesses. 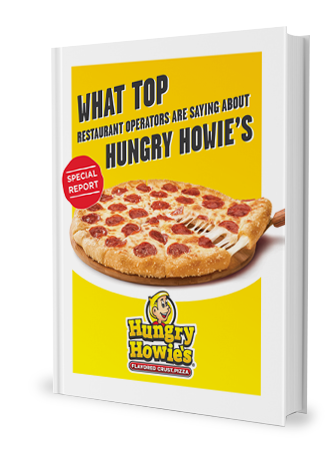 Hungry Howie’s franchisees are able to see real time sales figures and labor reports. With Howie’s Online Management Exchange (HOME) you literally have the ability to have your business at your fingertips. Hungry Howie’s strong commitment to the community is what makes us a real family owned company. We treasure our family values and want to extend our love, support, and help to as many communities as we can. This is why Hungry Howie’s franchisees devote their time and efforts to give back through many community outreach programs. In 2009, Hungry Howie’s launched Love, Hope & Pizza, a unique fundraiser designed to raise funds for the National Breast Cancer Foundation. Each October, Hungry Howie’s turns our signature yellow pizza boxes pink to reach every house in our communities, honoring and supporting those fighting breast cancer. As of October 2015, Hungry Howie’s Love, Hope & Pizza campaign had raised over $1.3 million for the National Breast Cancer Foundation, and that number continues to grow. The National Breast Cancer Foundation has made it its mission to provide help and inspire hope and support to those affected by breast cancer through early detection, education, mammograms, and ogoing support services. We are incredibly proud of our veterans. That is why at Hungry Howie’s we made it a commitment to help our veterans. Our unique veteran program is here to help our heroes become entrepreneurs after they return from the armed forces. In fact, in 2012, Hungry Howie’s was named a Military Friendly Franchise by G.I. Jobs Magazine. Hungry Howie’s support for our veterans is solid. 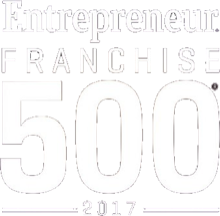 This is why we offer a fifty percent discount off of our initial franchise fee for qualifying veterans. 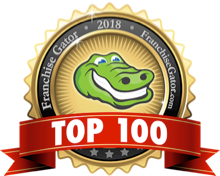 These are just the icing on the cake – there are hundreds of other reasons why a Hungry Howie’s franchise is the best one out there for you and your community. Learn more about why you should choose a Hungry Howie’s franchise.